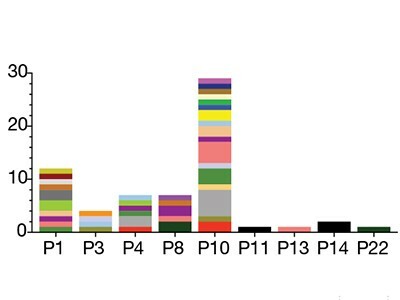 Latorre and colleagues used various techniques to identify human T cells that recognize specific antigens. 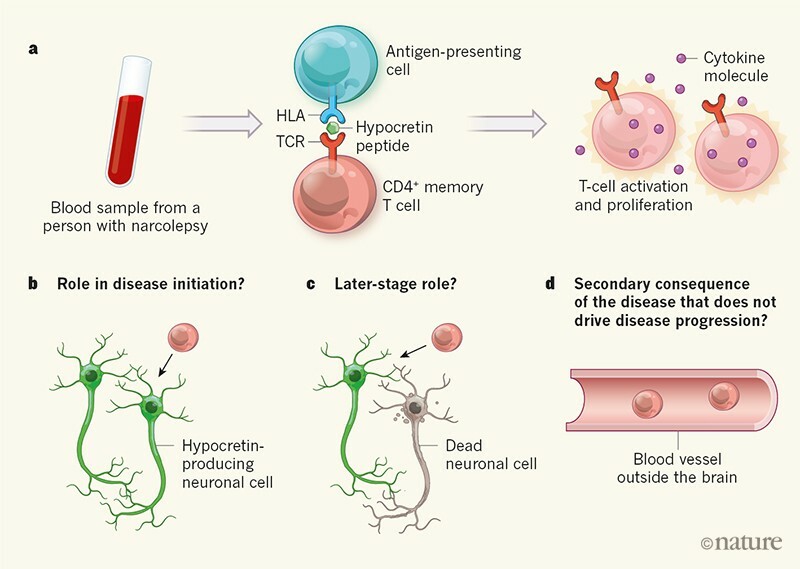 The authors tested whether T cells that recognize antigens from hypocretin were present in blood samples from 19 people with narcolepsy (14 of whom had HLA-DQB1*06:02) and from a control group of 13 people who didn’t have narcolepsy and carried the HLA-DQB1*06:02 gene variant. The authors found that all of those with narcolepsy had a type of T cell called a CD4+memory T cell that gave a substantial response to peptide fragments of hypocretin, and this response included the expression of immune-signalling molecules called cytokines (Fig. 1). However, only three members of the control group had T cells that responded to hypocretin, and this response was much weaker than that of the narcolepsy group. When the authors analysed samples of CD4+ T cells, they found that the proportion of these cells that recognize hypocretin was more than ten times higher in individuals with narcolepsy than in control individuals. This increased T-cell reactivity to hypocretin has also been reported independently12, and strongly suggests that autoimmunity has a role in narcolepsy.